Reyes Roofing Contractors, LLC provides the regular care and maintenance your roof system needs to perform worry-free, for the duration of its service life. 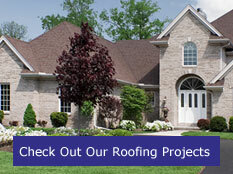 Our knowledge and expertise will accommodate your commercial roofing needs. Whether it is a new construction or older building repair Reyes Roofing Contractors, LLC will inspect and provide a no-obligation recommendation.